For the last 21 years, thousands of participants have challenged themselves to finish an 8 km race or a 4 km fun run/walk through downtown Kingston before the Kingston Symphony has finished playing 50 minutes of Beethoven’s best music. Mark your calendar for this year’s event, which will be held on Sunday, June 4, 2017 at 10:30 a.m. The action takes place at Confederation Park, in front of historic City Hall. To register online for either the 8 km race or 4 km fun run/walk, please click here. You can also register for this event in person by visiting Runner’s Choice at 56 Brock Street in Kingston. 4 km Fun Run/Walk | $35 < check with KRRA Secretary for member discount code. 8 km Race | $45 < check with KRRA Secretary for member discount code. Visit the Kingston Symphony’s dedicated web page for the event. Come to Howe Island for the Kingston Road Runners’ 8K Road Race. Medals for top finishers overall and age categories. There is a Kid’s 1-Mile Run and a barbeque following awards. Lots of giveaways. Barbeque lunch is included with entry fee. SCHEDULE: 9:30am race kit pickup… 10:30am Kids 1-Mile Race11am 8K Hustle Race… 12 noon Awards & barbeque. Sponsored by Eastside Marios on Weller (off Division), Steam Whistle Brewery, www.runnerschoiceKingston.com, www.drugsmarpharmacy.ca, www.365kingston.com. This is a Kingston Road Runners race event. Register for Howe Island Hustle right here at the store, or online. Click here to see photos from 2016 by Peter Stokes. The Kingston Road Runners is pleased to present their biggest annual race event of the year. So many exciting new developments are taking place this year. The half marathon course is officially certified by Athletics Canada. Another exciting addition to this event is a new finishing medal for half marathon runners. Limestone Race Weekend donates to the KGH Trauma ward as well as Start2finish Reading and Writing program. Runners’ Choice is pleased to team up with Saucony as sponsors for this weekend long event. This event boasts four separate races: Kids 2K Start2finish, KGH 10K Trauma Run, the 5K and Historic Half Marathon. Take your pick. Assemble a 3-person team (one runner for each race). Visit the KRRA website for more information and to sign up. It all happens April 29th & 30th, 2017. Many thanks to the volunteers who delivered the runners and manned the refreshment stations along the way. Sunday March 26th, 2017. 7:50am departure from Runners’ Choice Kingston for 8:30am start in at the Gananoque Subway. This our favourite Sunday run to welcome spring training. We run this every year on the same date as Hamilton’s Around-the-Bay 30K Race. WATER STOPS/AID STATION EVERY 5K. Look out for pylons or plastic container as markers. Mark your waterbottles to put in drop-offs. 15K and 20K RUNNERS, put your bag in Al’s SUV. 30K RUNNERS, put your bag in Robby’s minivan. Al Cantlay’s SUV will follow runners with extra drinks and clothing. 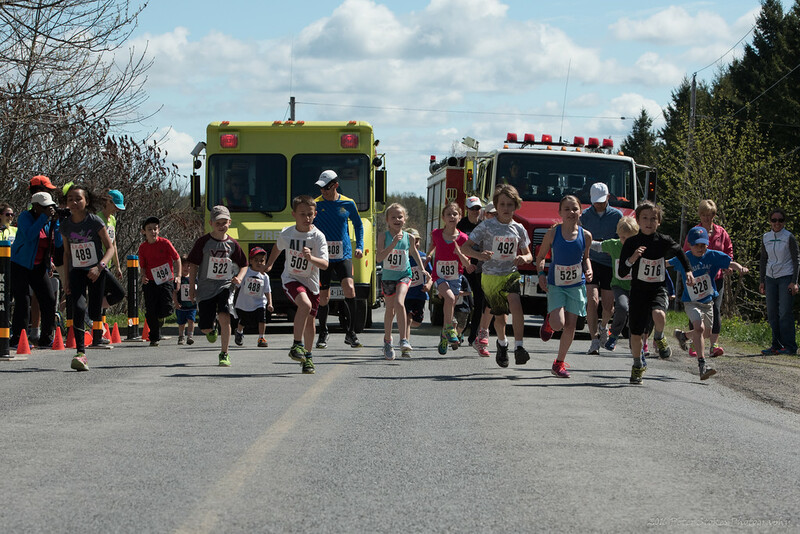 A CAR WILL BE parked past Joyceville sideroad to return 15k runners back to the store. Al will drive it there from Gananoque w/ extra key. Shirley or (other) will drive Robby’s light blue minivan to Treasure Island Marina. Shirley will have extra key from Robby and drive 2ok runners in Robby’s minivan at 10AM back to Kingston. 10AM – 3Ok runners’ bags will be at Runners’ Choice; store will be open for people to change. A Runner will drive CAR #4 back from the 15K or 20k mark back to Kingston, park/lock it and bring key to Runners Choice. CAR #1 – Leslie ‘s friend will drop 4 runners off and leave. CAR #2 – Matt will drive Tammy and two other runners And help ‘ferry” other cars back. CAR #4 – Ruth will drive car to GAN and bring back to Joyceville Sideroad. Dress warmly as weather could be bad. I will have extra clothing, blankets etc., if needed. RUN SAFE. HAVE FUN. Let’s coffee and/brunch afterwards.